I need some general information on psychometric tests, assessment centres and related issues. We have created a special Psychometric Glossary collection with the most important terms. 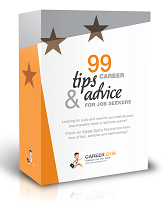 We offer free practice tests so you can become more familiar with aptitude tests, and there is also a FREE e-book on 99 career tips. If you have specific questions or need free advice, contact us! Apart from online aptitude practice tests, what other services do you offer on this website? This website is not only a psychometric test preparation site: while job test preparation is a traditional strength for Career Gym, we have opened into new fields of activity all within the career development domain, namely Live training webinars. We offer regular Webinars - live seminars online - for psychometric and aptitude tests such as Verbal, Numerical, Abstract Reasoning, assessment centre and related topics. Our webinar & web-conferencing unit is working hard to satisfy your need for information with many other webinars and web-conferences. We hope you will enjoy the ever-enriching features of our website. We would like to offer our clients an opportunity to register for free and receive newsletters with constant updates, tips and tricks, methodology ideas and great information on a regular basis, including access to some select e-learning courses, FREE test packages and free e-books for download. You may at any time, purchase live webinar trainings, or upgrade to the packages we offer to start taking premium psychometric tests. Will you send me by post some materials or is everything online? All tests, webinars, e-books and other training materials are only accessible online (i.e. via the internet). For your information, no physical (postal) shipment is made. I missed the live webinar I needed! Can I access a recording of it instead? Yes, all our webinars are recorded! Simply contact our customer support team and specify the name and date of the webinar you need the recording of. They will make available for your account a special item, which you can then add to your shopping cart - we will also include the summary document, containing all the questions and answers that occurred in the webinar! After payment, you will receive a link to access the recording of the webinar and its summary document, which will remain active for 2-6 weeks. I'm not a technical expert, do I need to have great computer skills to participate? A webinar is as easy as browsing on the internet or using our website - if you can do these, you can participate in the event! You will be given a special web link that you need to click on to participate in the event, after that everything will be self-evident: an intuitive interface will show where you can see a shared presentation, chat with the instructor or his assistant, listen to his lecture, answer interactive polls or questions, and participate as if you were sitting right next to him. If you nevertheless encounter any technical issue, we will assist you immediately, and we also provide detailed information to make sure your technical system is fully capable of participating in the webinar (99% of computers in the world are suitable, so nothing to worry about!). If I cannot attend the live event, what can I do? If you cannot attend the live event (or part of it), the link to the recording ot the event will be emailed to you the day after the event, as soon as tecnically possible, and it will remain accessible for 2-6 weeks. If I cannot join the event on time, can I still enter? If you cannot make the exact starting time, just join us later. You can always view the recorded version of the part you missed later. The link to the recording of the event will be emailed to all registered participants the day after the event, as soon as technically possible, and it will remain accessible for 2-6 weeks. Is a Webinar really useful? Is it like a YouTube video? A webinar is even better than a traditional classroom course as webinars have an even higher engagement from participants who are not restricted by group pressure or lack of time to ask questions that are relevant to their personal situation, as you can do it online or even after the course via e-mail to the same trainer. The slides are shown with live explanations, and if you wish to put a question on their content, you can do so easily via chat. You are also requested to take part in the interactive exercises to make sure your learning is maximised. You can even watch the recorded event afterwards to refresh the content or in case you missed the course - something that you could never do in a traditional classroom setting. Finally, you don't need to waste time and money with travelling to the course location as you can participate from the convenience of your office or home via your computer. Is the image and audio quality good? Like a TV broadcast - even with a dial-up (56K) internet speed you can have a clear video and audio quality, given the platform's super-strong architecture. A life-like, clear voice is guaranteed on your computer speakers, and the presentations, interactive exercises are shown optimised on your screen. What happens if I get disconnected during the course? That is not something to worry about as you can re-connect any moment with the same link immediately during the course. If your internet connection is disrupted or you face a computer issue that you cannot remedy, we can track each participant's presence on the webinar platform and we can find a mutually agreeable solution. You will also be given access to the recording, and our technical team will be on duty during the event to help you resolve all questions. What is a 'Webinar'? Why do you say it's 'LIVE'? A webinar is the abbreviation of Web Seminar. This means that you can simply log on to a special webpage (the address is provided to paid-up participants before the event) where you are connected to a special platform. It is LIVE because the tutor is presenting methods and information in a live broadcast that you can immediately see and hear on your computer screen and speakers. When he turns a page on his PowerPoint presentation, it is shown on your screen. When he asks you to answer a question or a poll, you can chat LIVE or click on a button to provide feedback. It is fully interactive, even more than a traditional classroom course where the teacher may only provide one-way communication. What should I do if I cannot hear the presenter or cannot see the slides? 1. Please make sure your speakers are turned on or your headphones are connected. 2. Please make sure your computer is not muted - you can check it by going to YouTube and listing to a video with sound. 3. Please make sure all your audio out levels are set high. In Windows, you can check this by right-clicking on the speaker icon in the taskbar and select Details or Volume Mixer. 4. If, during the webinar, you stop hearing audio or the content does not change on screen for a prolonged period of time, you can close the webinar window and click on the link in the information email again. You can always listen to the part you missed from the recording we will send you. Why do you charge this fee? Can't it be for free? Our policy is to offer professional quality services to our customers, which nevertheless requires lots of efforts on our side as well. We wish to provide you with a targeted psychometric test, aptitude exam or assessment centre preparation tool that will increase your chances to pass the recruitment exams 8x at least. To achieve this ambitious goal, we will use a professional technology, trained experts, a wealth of verbal/numerical/abstract reasoning exercises, samples, personalised advice and free follow-up answers if needed. Are the online tests similar to the ones SHL, Kenexa and other test administrators require candidates to take? How do their difficulty level relate to the "real" ones? The exams are very closely modelled on the exams SHL, Kenexa and other psychometric test providers require candidates to take, which is reinforced by the hundreds of clients of who have successfully passed the exam and now work in various consulting and other jobs. Our international experts have compiled the most professional and up-to-date questions with the most detailed answer keys, obviously with due respect for copyright issues. Our questions' difficulty level is somewhat higher than what you will see on the examination, but we feel this only helps to prepare you for the the "real deal". Can I revise my previous tests? Yes, definitively, you may revise any of your submitted tests any time, without limitation. Tests in progress, i.e. unfinished tests cannot be revised as the answers can still be changed until submitting the test. In revision mode, all answers are automatically shown, along with the related websites when applicable and the explanations, though this latter you can turn off if you'd like to. Can I revise ongoing tests? You have to Submit a test in order to revise it. If you Quit during the test, you will be able to continue answering any time later, or go back and change your answers - this is why it doesn't make sense to revise ongoing tests. Once you have Submitted a test, you can revise and compare you results. Check out the filters on the Revision & Statistics page to get more details about your progress. Do all test questions on your website have explanations? All explanations can be revealed during a test in Practice mode, or during the revision of any test taken. How many times can I use a question? And how many times can I revise a test? Our questions have no expiration date, your question balance has no expiration date. You can compose new tests as long as you have new questions on your account, and you can revise previous tests without any time limitation. - moreover, revision is not limited in any way, you may revise previous tests and questions for an unlimited period and for an unlimited number of times. What can i do if want to buy just a few more verbal, numerical or abstract (or other) test questions from a given domain? You have the option of quickly adding some extra questions to your account when composing a test on the Start Test or Compose Test page (these are available for those who have already bought questions or a package). Just click on the little green plus sign in the "Buy More Questions" column and use the pop-up window to buy the number of questions you wish to add to your account. Do I have to use my own credit card to pay for your packages, or can I use somebody else's card as well? You can pay with any card you wish, just make sure you are logged in to your own account during checkout. What forms of payment are accepted? Is payment safe? Regarding payment, the system will offer you online credit card or Paypal payment (immediate access) or Virtual GBP Account (immediate access). i) Online credit card payment: immediate access. Accepted cards: Mastercard,Visa (please note that Visa Electron card is not always supported) or via PayPal. Credit card payment is real-time, the transaction is secured by a 128-bit SSL coded system, verified by the most trusted seal, Verisign and provided by the the two leading payment providers, PayPal and Realex Payments. ii) Virtual GBP Account: immediate access. Every time you buy a service online, you will get 5% back as Virtual GBP on your Virtual GBP Account. The next time you buy a package, you can use these Virtual Euros to pay for it, or just pay for a part of it if you don't have enough Virtual Euros on your account, and pay for the rest via any other method. Can I download and print the online practice questions I have bought? All our tests, webinars and practice packages are only accessible Online, therefore it is not possible to download them on your computer. Can I use my Career Gym package on different computers or only on the one I’ve made the purchase from? Your package is not restricted to a computer in any way, you can use it on any computer with internet access - all you need to know is your Login Name and Password. Do I need internet connection to be able to use my package? Yes, you need to be connected to the internet the whole time you wish to use your online psychometric test preparation package or to access the webinars. How can I register on the Career Gym website? Does it cost me anything? You can register on our website for free at the following registration link so you can have access to free or premium packages, webinars and other resources!